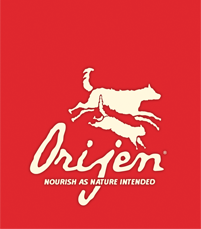 Orijen says their unique foods, custom-built kitchens, and unmatched fresh local ingredients have earned them an international reputation and more industry awards than any other pet food maker in the world. Is this status well-deserved? Are Orijen foods a good choice for your cat? To answer these questions, we’ve taken a close look at Orijen, evaluating the brand on species-appropriateness, product variety, price, ingredient quality, customer experience, and recall history. After hours of research, we’ve rated Orijen cat food according to the We’re All About Cats standard. Here’s how it measures up to each of our six criteria for quality. In total, we give Orijen cat food a 36 out of 60 rating or a C+ grade. It’s the flagship brand of Champion Petfoods, the first and largest pet food manufacturer in Canada. The company was founded in 1985 by Reinhard Mühlenfeld, an entrepreneur determined to become the first pet food manufacturer in Canada. Reinhard started the company with two employees, making and packaging animal food for local Alberta farmers. By 2018, the company had over 500 employees working on their global sales team and at facilities in Alberta, Ontario, and Kentucky. Orijen sources ingredients from carefully-vetted farms and ranches near their manufacturing facilities. The company has two manufacturing facilities—a NorthStar kitchen in Alberta and one DogStar kitchen located in Kentucky. Customers in Canada, Europe, and parts of Asia get Orijen foods made in the Canadian facility, while those living in the United States and Central and South America will buy foods manufactured in Auburn, Kentucky. Champion Petfoods has a mandate to “never outsource”, so they don’t work with outside manufacturers and their kitchens produce exclusively Orijen and Acana foods. Their custom-built facilities have received internationally-recognized Safe Food Quality (SQF) and Safe Feed/Safe Food (SFSF) certifications. After production, Orijen cat food is sampled by in-house quality assurance staff and a third-party lab. Has Orijen cat food been recalled? In 2008, all Orijen cat food sold in Australia was recalled when several cats got sick and died after eating Orijen cat food. Champion Petfoods states that their recipes were not at fault. Mandatory gamma irradiation had made the food unsafe. Why was the food irradiated? Prior to 2009, Australia’s food import regulations dictated that all pet foods made with fresh meat or cooked at low temperatures underwent irradiation treatment before reaching store shelves. This treatment exposes food to gamma rays, which destroy microbial contaminants. vitamin A depletion and the release of free radicals made a number of Australian cats fall seriously ill after eating Orijen food. Ten years later, a lawsuit was filed against Champion Petfoods. Consumers from Minnesota, California, and Florida said that Champion Petfoods had misrepresented their products by not disclosing the presence of heavy metals and toxins in their food. Testing by the Clean Label Project found that Orijen and Acana foods contained arsenic, BPA, cadmium, mercury, and lead. The average amount of heavy metals in the foods, however, were below the maximum tolerable levels set by the FDA. What kinds of cat food does Orijen offer? 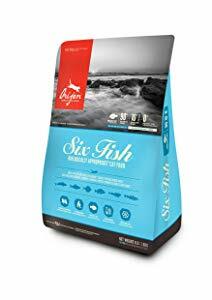 The Orijen cat food lineup includes five dry foods and six types of treats. They don’t make any wet foods. Orijen foods contain up to 90% meat, two-thirds of which is fresh or freeze-dried and one-third of which is dehydrated. 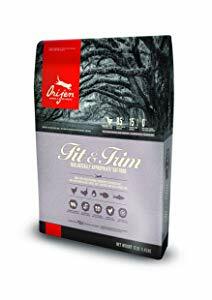 Orijen foods utilize muscle meat, organs, bones, and cartilage in what they describe as Whole Prey ratios, approximating the ratios of animal parts a cat might consume in their natural whole prey diet. Low-glycemic fruits, vegetables, and other additives constitute the remaining percentage of the food. Orijen foods rely heavily on fresh meat and botanicals to achieve nutritional completeness and don’t contain the array of synthetic vitamins, minerals, and amino acids found in most cat foods. Chicken, turkey, and eggs appear to be the primary protein sources in this dry cat food. This food is made for cats of all life stages. It’s appropriate for both adult cats and growing kittens. Like most Orijen foods, it contains a variety of protein sources, including a mix of poultry meat, organs, and cartilage, along with whole eggs, flounder, mackerel, and herring. Most of these meats are fresh—refrigerated without preservatives—or raw, meaning that they were flash-frozen and not treated with any preservatives. The remaining third of the meat is dehydrated at low temperatures. 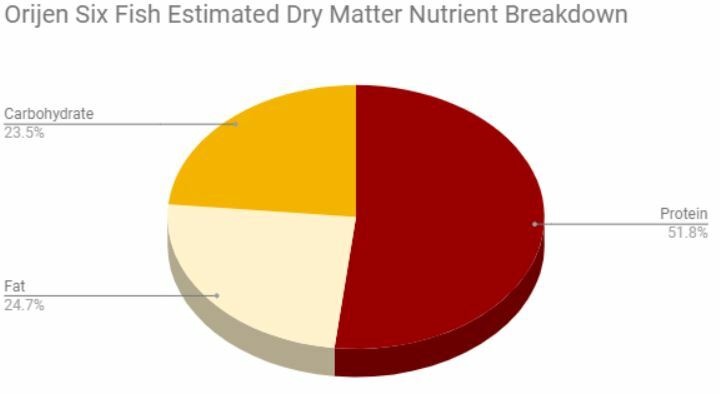 Dehydrated meat is a concentrated source of animal protein. In addition to meat, the food contains a variety of legumes, including peas, lentils, and chickpeas. In total, this is a meat-based food with moderate protein, moderate fat, and relatively low carbohydrate content. Each cup of Orijen Cat & Kitten food is 463 calories. Chicken appears to be the primary protein source in this dry cat food. This Orijen food geared towards overweight cats and those with lower calorie needs. It’s made with the brand’s standard variety of fresh, raw, and dehydrated animal proteins, whole prey ratios of muscle meat, organs, bones, and cartilage, and low-glycemic fruits and vegetables. Chicken, turkey eggs, herring, turkey, mackerel, and flounder serve as the food’s primary protein sources, followed by a variety of legumes, fruits, and veggies. Overall, it’s a meat-based food with high protein, low fat, and relatively low carbohydrate content. Despite being sold as a low-calorie food, the product’s 445 calories per cup are higher than the average dry food. All Orijen foods are calorically-dense and intended for smaller-than-average portions. Pacific pilchard appears to be the primary protein source in this dry cat food. This food is made primarily from wild fish caught in New England waters, including mackerel, herring, flounder, redfish, monkfish, and silver hake. Fish accounts for 90% of the entire recipe. Due to fish’s potential for heavy metal and toxin contamination, fish-based diets aren’t ideal for cats. Two-thirds of the fish is fresh or raw. 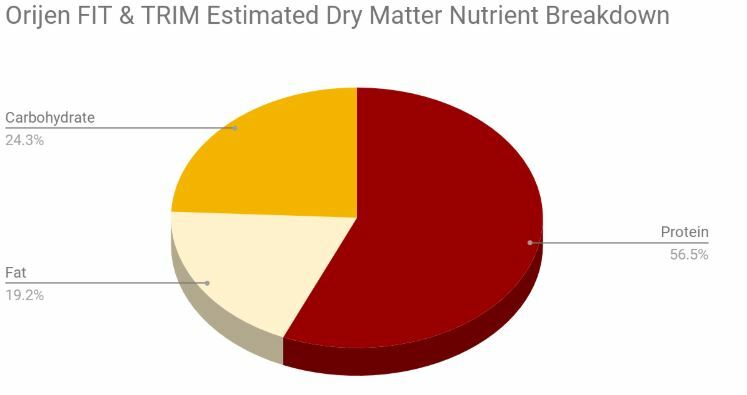 The remaining one-third of the fish ingredients are dehydrated to provide a concentrated source of animal protein. To increase the food’s palatability, it’s infused with freeze-dried cod liver. Overall, it’s a meat-based food with high protein, moderate fat, and relatively low carbohydrate content. Each cup of this food is 463 calories. 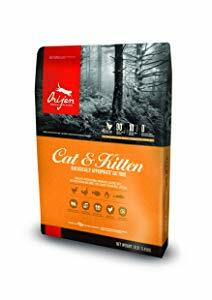 What do customers think of Orijen cat food? Back when Orijen was exclusively manufactured in Canada, their cat food received consistently positive customer reviews. Since the company opened their facility in Auburn, Kentucky, many loyal customers in the United States and Central and South America report a decline in quality. These customers say the US-made food is inconsistent, smells strange, and makes their cats sick. Such complaints make up the majority of negative reviews. How much does Orijen cat food cost? Most Orijen cat food varieties cost roughly the same amount—around $0.30 to $0.35 per ounce. According to the company’s feeding recommendations for the average 11-lb cat, the food will cost about $0.91 per day. Overall, is Orijen cat food a good choice? There’s a reason Orijen cat food made our list of the best dry cat foods on the market. Orijen products are some of the only dry foods that feature a whole-prey-inspired variety of fresh muscle meat, organs, and bones. Very few dry food companies can match the low carbohydrate content of Orijen foods or the integrity of their sourcing. That said, Orijen isn’t a great choice for every cat. Since opening their DogStar kitchen in the United States and reformulating their recipes to include more American ingredients, the company has lost a lot of customers and gained a lot of complaints. At this point, we don’t know what Orijen is doing wrong at the DogStar kitchen, but the reviews from unhappy customers are enough of a reason to hesitate before choosing this brand. Orijen foods emphasize variety, including multiple animal species in each recipe. If your cat has allergies or food sensitivities, this might make it a less-than-ideal brand choice. Overall, Orijen foods are some of the best dry products on the market, but they’re not perfect. 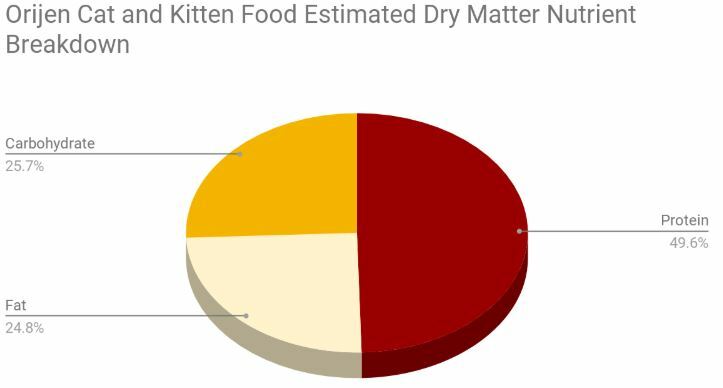 Recent reformulations and manufacturing changes may have decreased the quality of Orijen cat food sold to customers in the US, Central America, and South America. Where is Orijen cat food sold? Orijen cat food is exclusively sold through independent pet specialty retailers. You won’t find it in major chain stores or big box stores. Click here to search for authorized retailers near you. 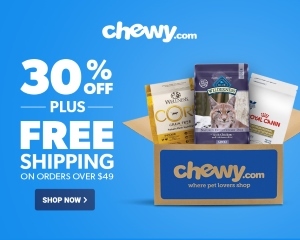 Online, it’s available through several trusted retailers, including PetFlow, OnlyNaturalPet, and sellers on Amazon. Shop for Orijen cat food on Amazon.